Marc Vetri has been using Country Time Pork in his restaurants’ dishes for over 10 years, ever since the day Paul Crivellaro walked into his kitchen. The Berks County pigs make their way into the sausages and charcuterie at Vetri and Osteria, and will eventually be used at the brand new Roman trattoria Amis. Every three or four months, Michaud and his team at Osteria get a whole 300-pound pig from Country Time, and turn it into salami, proscuitto and lardo. They also get weekly deliveries of pork shoulders for fresh sausage. 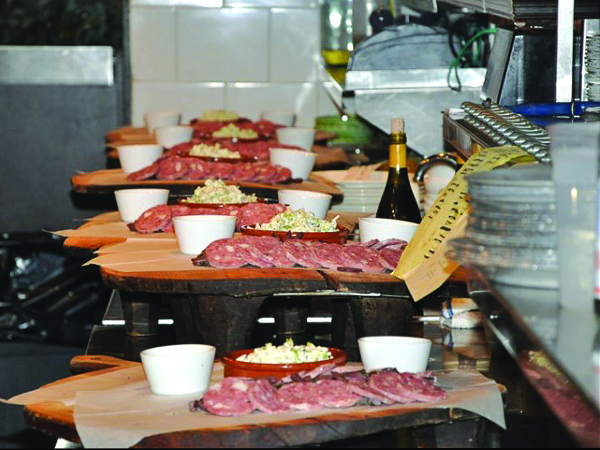 The quality of the meat really shines in their simple, soulful Italian cooking.